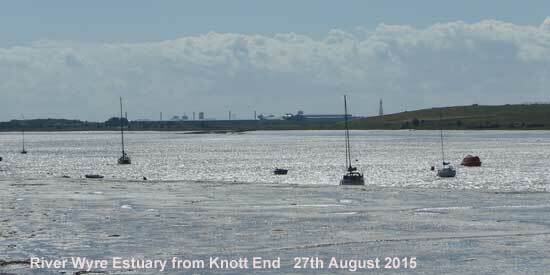 Knott End is across the River Wyre from Fleetwood. There is a ferry from Fleetwood. 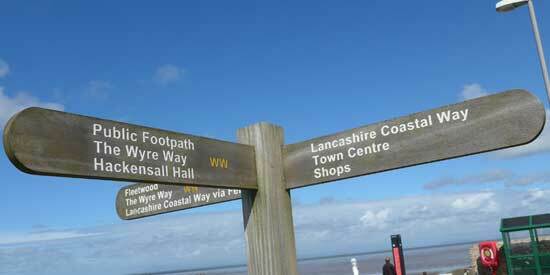 Big Views of Morecambe Bay across to the Lake District and Pennines. 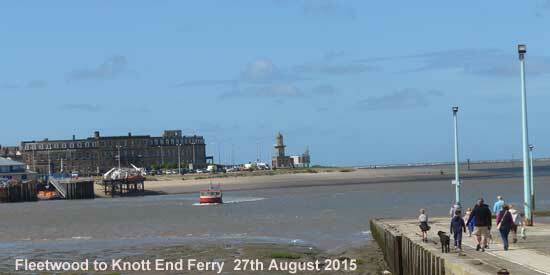 Ferry approaching Knott End. North Euston Hotel, Fleetwood in the background. The view from Knott End into the Wyre Estuary. Blackpool Tower in the background. 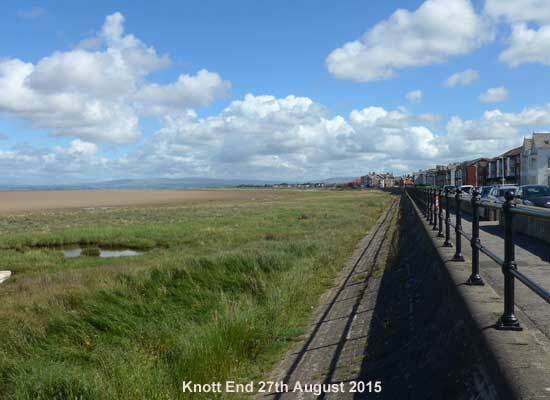 Knott End overlooking Morecambe Bay. 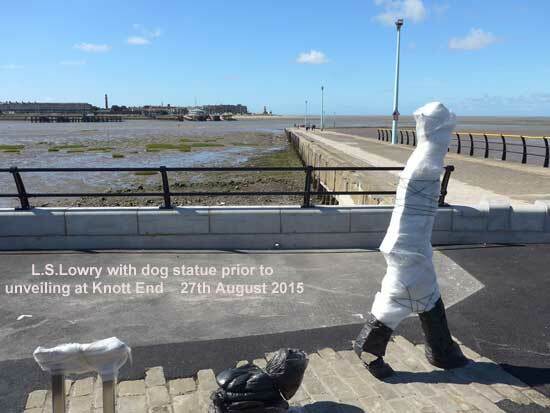 LS Lowry used to paint from the spot that this statue stands at Knott End. This photo is before it was revealed. It has a dog which is meant to represent dogs similar to one's he painted. 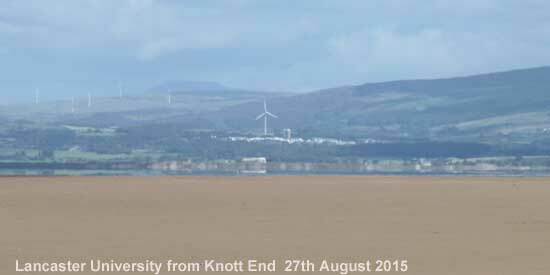 View over the sands of Morecambe Bay towards Lancaster University. 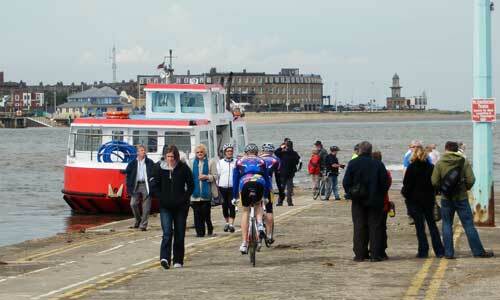 Photograph of the ferry at Knott End with Fleetwood across the River Wyre, 2012. 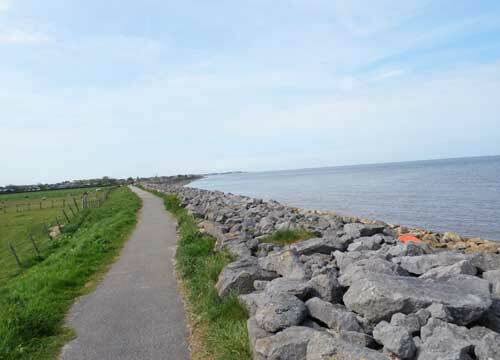 Photo of the path along Morecambe Bay at Knott End. 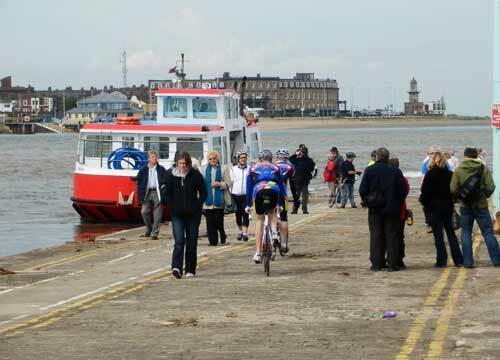 Photo of the Ferry from Fleetwood to Knott End. 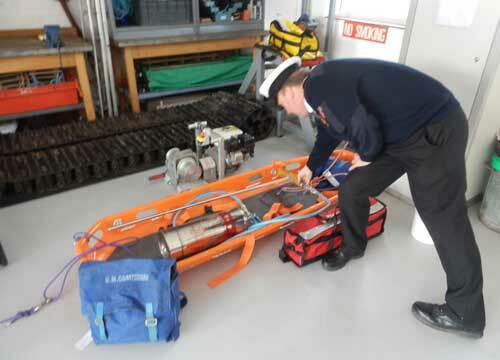 Photo of the Knott End Coastguard with mud rescue equipment.